Constable Javed's village is just one kilometre from Kutchdora, where security forces killed five terrorists in an encounter in April. 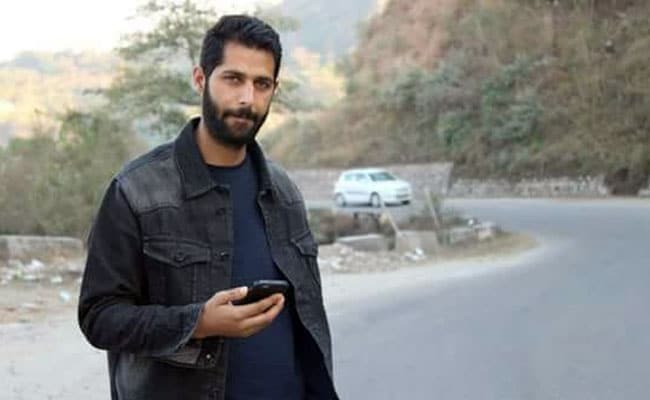 A policeman, who was kidnapped by terrorists in south Kashmir's Shopian district last night, was found dead today with multiple bullet wounds in neighbouring Kulgam. Constable Javed Ahmad Dar was on leave and visiting his native village Vehil. He was kidnapped when he went out to buy medicines. Javed's village is just one kilometre from Kutchdora, where security forces killed five terrorists in an encounter in April. At the home of constable Javed was an inconsolable family. "He returned from duty to his village and was kidnapped at around 8: 30 PM, in the morning we found his body, it is not confirmed, but eye witnesses said they were four men who had come in a Santro car," a neighbour of Javed said. Javed was the personal security officer to Senior Superintendent of Police Shailendra Mishra, who was spearheading the anti-terror operations in south Kashmir. Mr Mishra was recently transferred. Police have already started an investigation. "Search has been stopped after the body was recovered but investigations are going on, which terrorist organisation did this is again a matter of investigation, we will proceed further as the investigation goes further," said Shopian's Senior Superintendent of Police Sandeep Choudhay. The incident comes less than a month after armyman Aurangzeb was kidnapped by terrorists in Pulwama district and was later shot dead. He was on leave for Eid and was travelling in a car to Shopian when terrorists blocked the way and took him away. Security forces suspended anti-terror cordon and search operations in Jammu and Kashmir under a peace initiative during the holy month of Ramzan, but combat operations resumed after Eid. Sources said that it was a desperate attempt by terrorists to show their presence just when the security forces have been exerting pressure by neutralising them and their leadership. They added abduction and subsequent killing of policemen and soldiers on leave is a tactic to intimidate and threaten the local men in the security forces.